Romantic guitar tunes, gorgeous brunettes in their polka-dot dresses, raging bulls mercilessly chasing horrified crowds, and all-you-can-eat paella and churros… ¡Olé! Now this might sound like coming out of a tacky-1990s rom-com set in some exotic Spanish city; a summer love story is weaved between a travel geek and a flamenco dancer. This is certainly NOT how Spain that I know looks like. The fantasised image of España might be randomly traced down in some of its cities — especially in the southern community of Andalusia — but the multitudes of cultures within this country is very underrated and absolutely breathtaking. 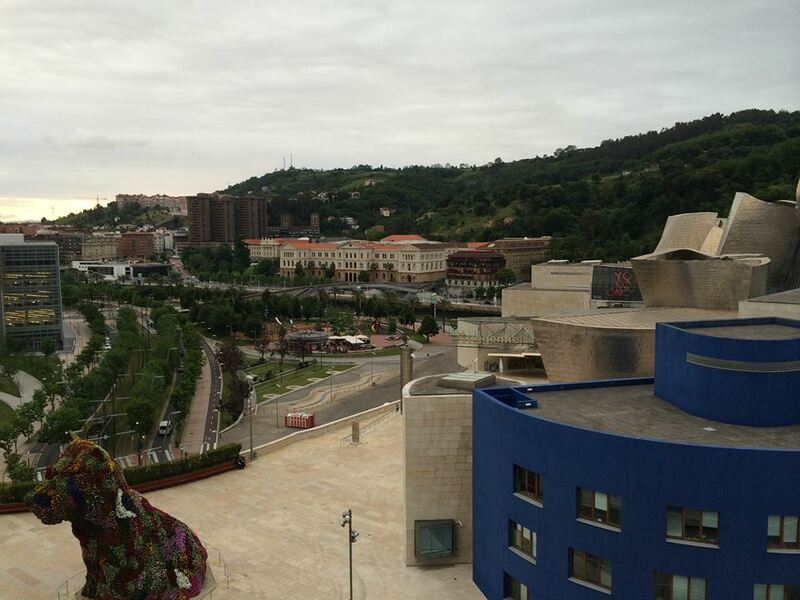 I can assure this firsthand after spending almost a year in the gorgeous city of Bilbao, capital of the Basque Country community in northern Spain. If you ask any of its very friendly locals, they would tell you how Bilbao has undergone major changes in the past few decades. From a predominantly fishermen, industrial city — enduring years of war and pollution — rose the modern and cosmopolitan Bilbao of nowadays. Distinguished by its renowned Guggenheim Museum with its shiny titanium cladding, Bilbao has earn its place as an original destination especially for those eager to discover the Basque Country region beyond stereotypes and prejudices. I was lucky enough to spend two semesters as an exchange student in this beautiful city in Europe, where I got to travel a lot, show off some of my favorite Jobedu tees, crush as many Arab-related clichés as possible, blabber all the Spanish I knew (and learn a few expressions in Basque, which is widely used in Bilbao) and make some friends for life. Bilbao’s climate was yet another interesting discovery: zirimiri (Basque for “drizzle”) is a keyword to describe weather in the Basque Country. While it feels quite mild throughout the year, it’s a given that at any moment during the day, the sky can turn grey in a few moments causing some patchy drizzle. That said, sunny days in Bilbao are glorious and with the abundance of parks and green areas, one can enjoy long-day picnics and promenades all around this colorful city. Curious to join me on an afternoon walk around Bilbao? Grab your umbrella and notepad and write down these tips for a Bilbao expedition not to miss! Take a walk along the Ria de Bilbao, the city’s river that runs along between the historical quarter and the modern part of the city. Start your walk from the campus of Deusto University, across the Guggenheim Museum up until the beautiful city hall of Bilbao. The Guggenheim Museum of Modern and Contemporary Art is surely a wonder to the eye. This signature building designed by Canadian architect Frank Gehry hosts every year an immense variety of exhibitions for artists from all over the world, and its permanent collection of remarkable artworks — from sculptures, paintings, audiovisual pieces and more — will absolutely leave you in awe. At this point you’ll definitely need a fix of sugar, I recommend Mami Lou in Barrainkua street, just behind the Guggenheim Museum. 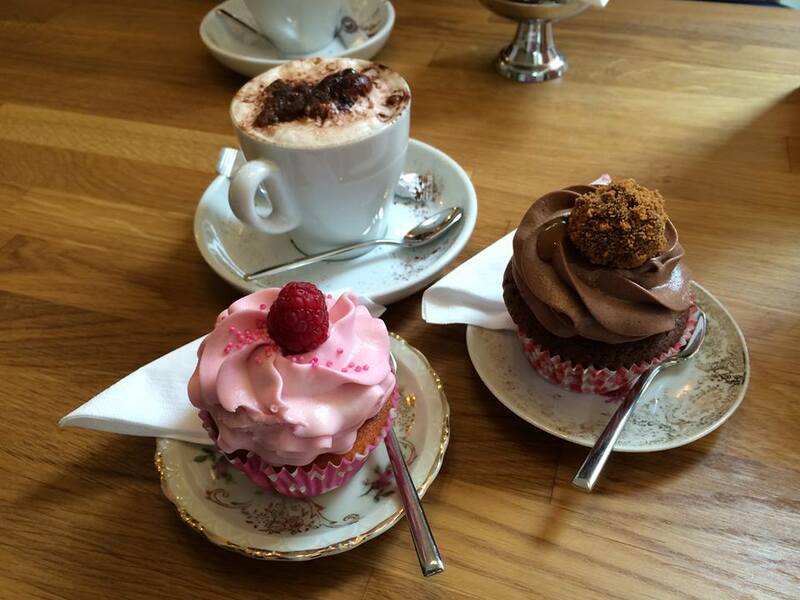 Grab a mouthwatering cupcake (or two!) along with a hot cup of latte to get a sugar rush like no other! 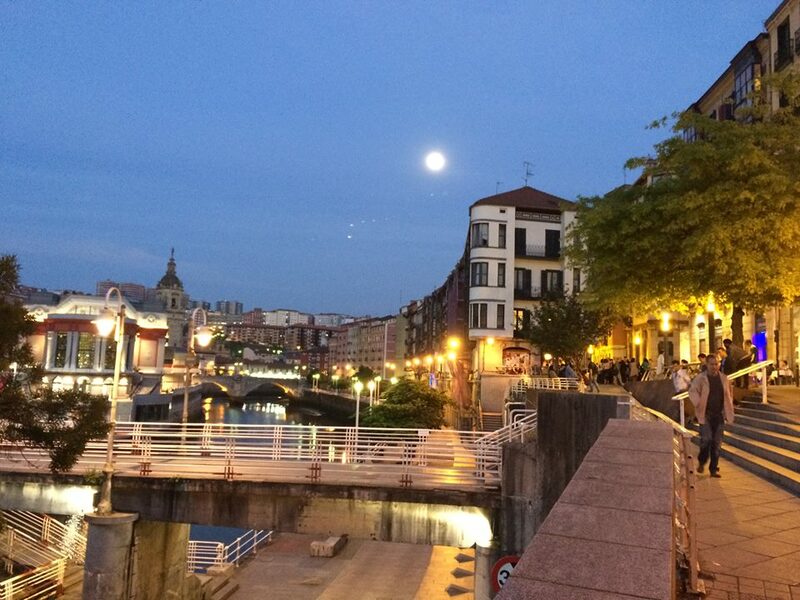 Now that you’re high on sugar, why don’t you burn some calories walking to Casco Viejo, Bilbao’s historical quarter? With its 7 streets, this neighborhood is perfect to explore the evolution of Bilbao throughout the years, not to mention all the charming small shops and cafes where you can always find something magical to taste, feel, hear and go through the ultimate travel experience. Now that it is dinner time, head to El Txoko Berria in Casco Viejo where you can try the Basque seafood specialties and choose from a variety of appetizers, main courses and delicious desserts and local beverages.